Sir Max Hastings (Catastrophe) talks about the origins and early campaigns of the First World War. Sir Max will discuss how inevitable, or avoidable, the Great War was. Was our going to war a mistake, or was it one of our finest hours? Ask questions and join in the discussion at the end. Max Hastings, Did You Really Shoot the Television?. Max Hastings discusses Nemesis: The Battle for Japan, 1944-45. Max Hastings reads from Nemesis: The Battle for Japan, 1944-45. Harvard Book Store is pleased to welcome military historian and former foreign correspondent MAX HASTINGS to discuss the final year—and world-changing events—of the Pacific war against Japan. By the summer of 1944 it was clear that Japan’s defeat was inevitable, but how the drive to victory would be achieved remained to be seen. The ensuing drama—that ended in Japan’s utter devastation—was acted out across the vast stage of Asia, with massive clashes of naval and air forces, fighting through jungles, and barbarities by an apparently incomprehensible foe. In recounting the saga of this time and place, Max Hastings gives us incisive portraits of the theater’s key figures—MacArthur, Nimitz, Mountbatten, Chiang Kai-shek, Mao, Roosevelt, Churchill, and Stalin. But he is equally adept in his portrayals of the ordinary soldiers and sailors—American, British, Russian, Chinese, and Japanese—caught in some of the war’s bloodiest campaigns. 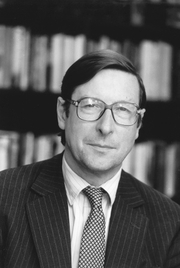 Max Hastings is currently considered a "single author." If one or more works are by a distinct, homonymous authors, go ahead and split the author. Max Hastings is composed of 12 names. You can examine and separate out names.